Resolution Products is a high-tech design and manufacturing company specializing in wireless technologies for the professional security market and related connected-home (IoT) space. Resolution Products is headquartered in Hudson, WI (population 12,000) nestled along the scenic St. Croix River which splits Wisconsin from Minnesota. Hudson sits just 30 minutes east of the Minneapolis/St. Paul metro area. 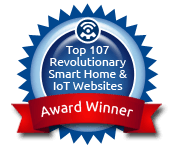 The Resolution Products founders, executive leadership team, and engineers are widely considered technical leaders in the development of security, home automation and the broader Internet of Things (IoT) markets. Members of the engineering team have held positions with the top global providers of home security and networking equipment, with representation on over 29 industry patents. Resolution Products takes pride not only in technical and innovative leadership, but also in working closely with our customers to monetize connected devices, and grow their business. Our success is the result of advanced and experienced engineering, and listening to our customers to help them compete in the expanding and increasingly competitive market. Resolution Products delivers innovation and technology with a purpose.